What is Early Years Pupil Premium? 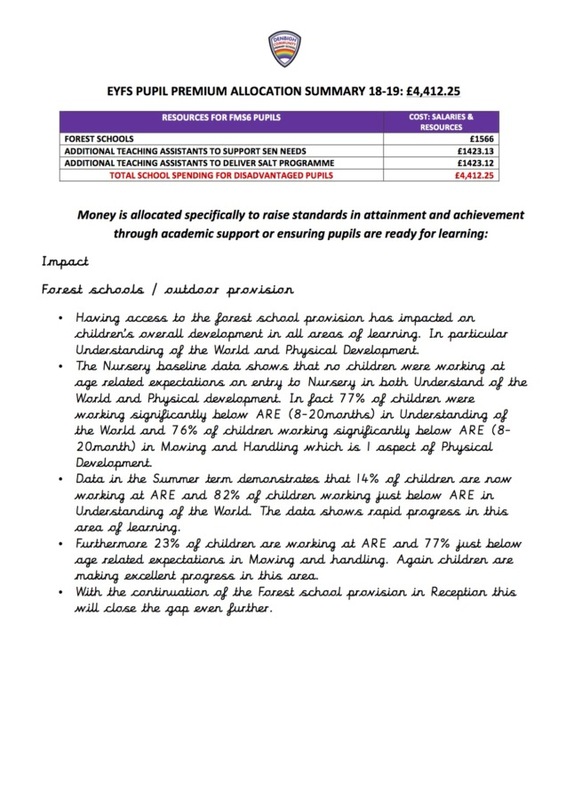 From April 2015 nurseries and schools were able to claim additional funding through the Early Years Pupil Premium to support children’s development, learning and care. National data and research says that children eligible for free school meals (FSM) tend to do less well. The Early Years Pupil Premium provides extra funding in order to close this gap. The Early Years Pupil Premium provides an extra 53p per hour for three and four year olds whose parents are in receipt of certain benefits or who have been in care or adopted from care. This means an extra £302 (just over £100 per child per term) per year for each child taking up the full 570 hours funded entitlement to early education. How are EYPP eligible children identified? Initially letters and forms are sent to all children. Returns are recorded in order to highlight and send further forms to those who do not return paperwork. Older siblings are checked for those qualifying for FSM. Those who are eligible are approached individually. All parents are given the opportunity to come into school for support when completing paperwork. Who is eligible in Foundation Stage for 2018-2019? 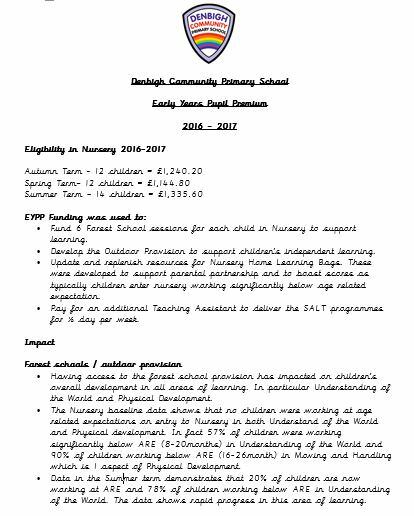 The Early Years Pupil Premium funding Denbigh Community Primary School have received for the academic year 2018-2019 is £4,412.25.